The news is full of stories that seem to confirm parents’ worst fears that use of screens and other technologies is creating health and social problems for our children. At the same time, the use of these devices and programs are essential for learning in school, communicating with family and friends, and professional work for adults. 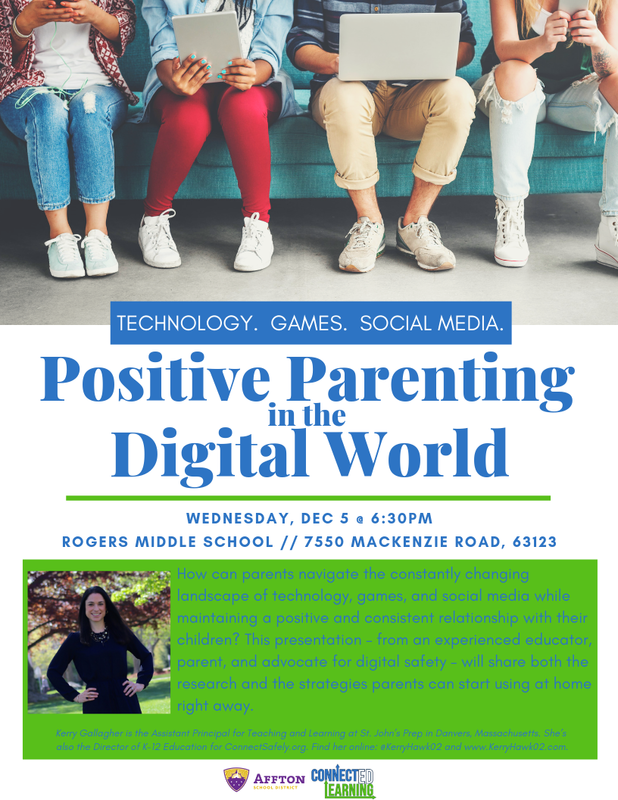 How can parents navigate the constantly changing landscape of technology, games, and social media while maintaining a positive and consistent relationship with their children? This presentation – from a experienced educator, parent, and advocate for digital safety – will share both the research and the strategies parents can start using at home right away. 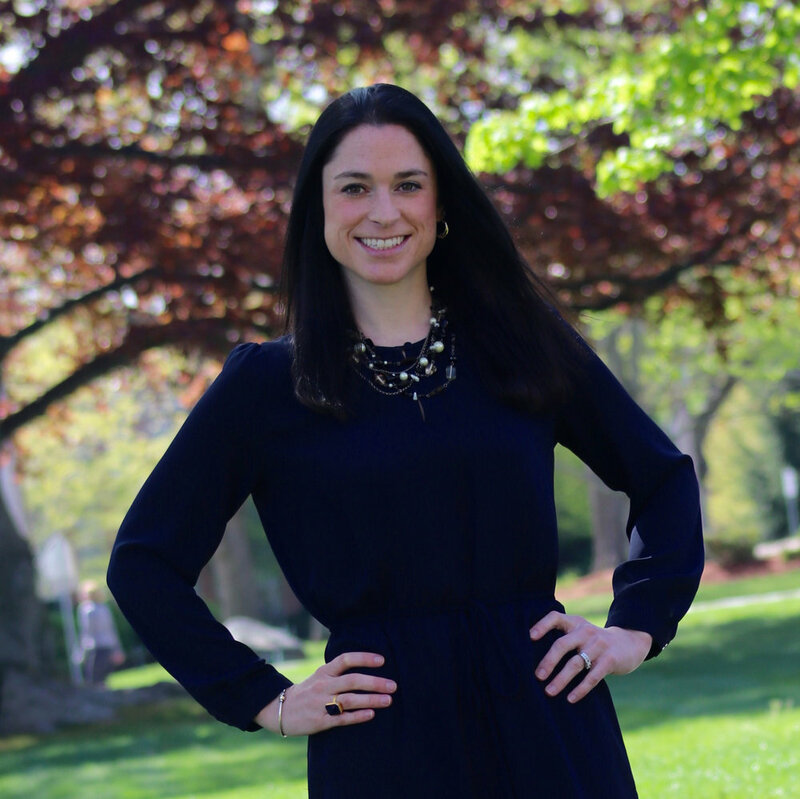 Kerry Gallagher is the Assistant Principal for Teaching and Learning at St. John’s Prep in Danvers, Massachusetts. She’s also the Director of K-12 Education for ConnectSafely.org – internet safety non-profit in Palo Alto, California – a FutureReady Instructional Coach, ASCD Emerging Leader, Adobe Education Leader, PBS LearningMedia Digital Innovator, and EdSurge Columnist. She served as a middle & high school teacher and digital learning specialist for over 15 years, and her passions include digital citizenship and effective integration of curriculum, pedagogy, and edtech. Kerry is a TEDx & keynote speaker and a lawyer by training. She has been recognized by St. Anselm College, the Family Online Safety Institute, and SmartBrief for her work. She is on social media @KerryHawk02 and her website is www.KerryHawk02.com.